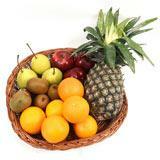 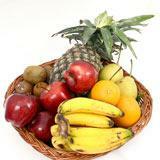 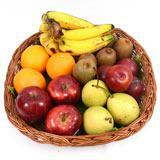 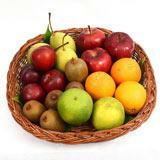 Delight your loved ones in all cities in India by gifting this delicious fruit basket from the very popular online gift store of GiftsAcrossIndia.com. 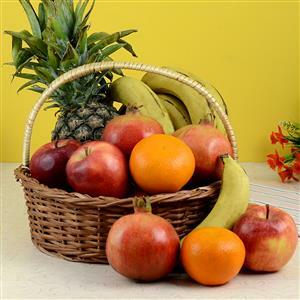 This product contains one kg of apples, one kg of oranges, one kg of pomegranate, one pineapple and six bananas, all put together in a cane basket. 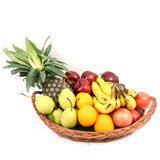 Add this basket along with your other Gifts across India and bring a smile on your dear ones’ faces.